HBO has announced that the fifth and final season of Boardwalk Empire will kick off on Sunday, September 7th. There will be just eight installments this time around (down from the usual dozen). 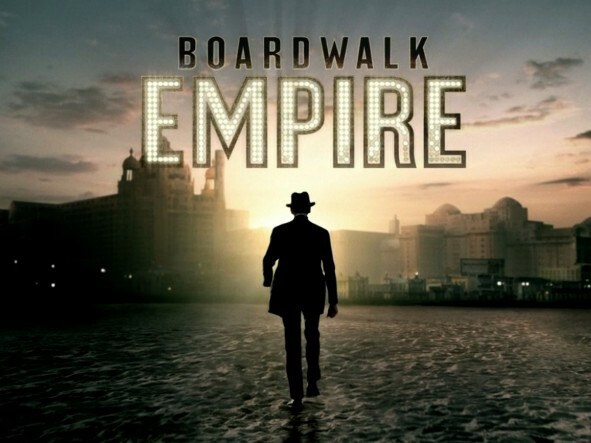 The Emmy(R)-winning HBO drama series BOARDWALK EMPIRE will return for its eight-episode, fifth and final season Sept. 7, it was announced today by Michael Lombardo, president, HBO Programming. From Terence Winter, Emmy(R)-winning writer of “The Sopranos” and Academy Award(R)-winning director Martin Scorsese, BOARDWALK EMPIRE is set in the Prohibition era and chronicles the life and times of Enoch “Nucky” Thompson, the undisputed leader of Atlantic City. The first four seasons took place during the 1920s. In the final season, which takes place in the depths of the Depression in 1931, Nucky recalls his Atlantic City roots and plots a post-Prohibition future. In Sept. 2013, BOARDWALK EMPIRE received five Emmy(R) Awards, the most of any series, in the 65th Annual Primetime Emmy(R) Awards competition, including Outstanding Supporting Actor in a Drama Series (Bobby Cannavale); Outstanding Art Direction for a Single-Camera Series; Outstanding Hairstyling for a Single-Camera Series; Outstanding Sound Mixing for a Comedy or Drama Series (One Hour); and Outstanding Sound Editing for a Series. In 2012, the show received four Emmy(R) Awards, including Outstanding Directing for a Drama Series (Tim Van Patten). In 2011, the series led all programming with eight Emmy(R) Awards, including Outstanding Directing for a Drama Series (Martin Scorsese). In Jan. 2011, BOARDWALK EMPIRE received two Golden Globe Awards, for Best Television Series – Drama and Best Performance by an Actor in a Television Series – Drama (Steve Buscemi). In Dec. 2013, the show received three Screen Actors Guild Award nominations, including Outstanding Ensemble Performance in a Drama Series, Outstanding Performance by a Stunt Ensemble in a Television Series and Outstanding Performance by a Male Actor in a Drama Series (Steve Buscemi). In both 2012 and 2011, the series received two Screen Actors Guild awards, for Outstanding Performance by an Ensemble in a Drama Series and Outstanding Performance by a Male Actor in a Drama Series (Steve Buscemi). What do you think? Are you planning on watching the final season? Do you think there should be a sixth season or is the series ending at a good time? More about: Boardwalk Empire, Boardwalk Empire: canceled or renewed? I personally thought there were more stories to pursue…. I thought season 4 left us with lots of questions. Well HBO I think you dropped the ball on this one. Prohibition rescinded? Clearly you’re not a fan of the show. Season 4 ended around 1923. Prohibition ended in 1933. Season 5 is picking up 8 years later in 1931?! That’s 8 years of potential storyline omitted. Not to mention Capone didn’t even die until ’47. Most likely it’ll end up being Nucky recounting “the good ol’ days” from his deathbed/prison with the entire season being done in flashbacks. HBO dropped the ball on this one BIG TIME! I think there should be a sixth season. This is a very riveting show. All actors give outstanding performances. I especially enjoy Nucky and Whitey. I was really disappointed when Richard was written off the show. He did an outstanding portrayal of someone with the conditions he had. He was realistic. The series has been very entertaining. I would love to see it continue.